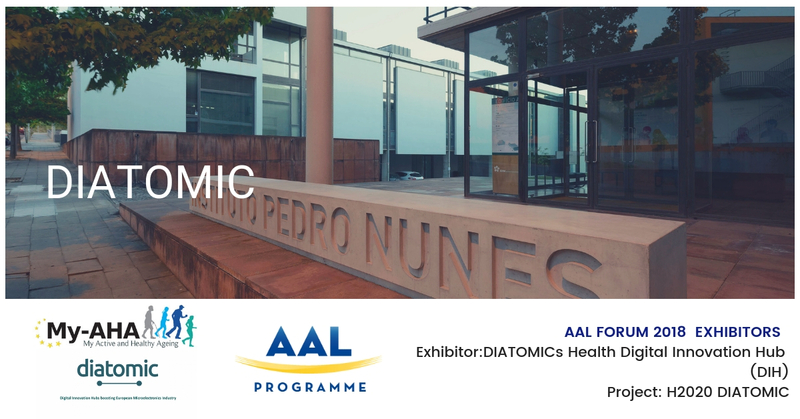 Diatomic is a H2020 DIATOMIC project establishing a sustainable ecosystem to facilitate digital innovation in the field of microelectronics and smart systems integration applied to health, agriculture, and industry. The project will distribute three million euros to small projects of 200,000 euros, in two calls. After the success of the first call – 85 applications submitted, from 22 European countries – the second call will distribute 1.5 million euros, is planned to open 1 November 2018 and close 31 of January 2019. This means that SMEs will start soon doing partner search for competence centres on DIATOMIC platform. The Instituto Pedro Nunes (IPN) is coordinating the DIATOMICs Health Digital Innovation Hub (DIH) and aims to promote innovation and the transfer of technology, establishing the interface between the scientific and technological environment and the production sector. As the main organisers of the AAL Forum 2017, IPN has a lot of expertise in the active and healthy ageing sector and this is the main focus of Automation Lab. Particular interests lie in health prevention, personalised medicine and rehabilitation to name a few. IPN’s unique assets include a technology background and a rich environment, which leverage its capacity to transform research technologies in near-market products. IPN is co-founder of the Ageing@Coimbra reference site of EIP-AHA, and is associated partner of EIT Health. So, are you curious and want to know more? Then be sure to visit them at this year’s forum.